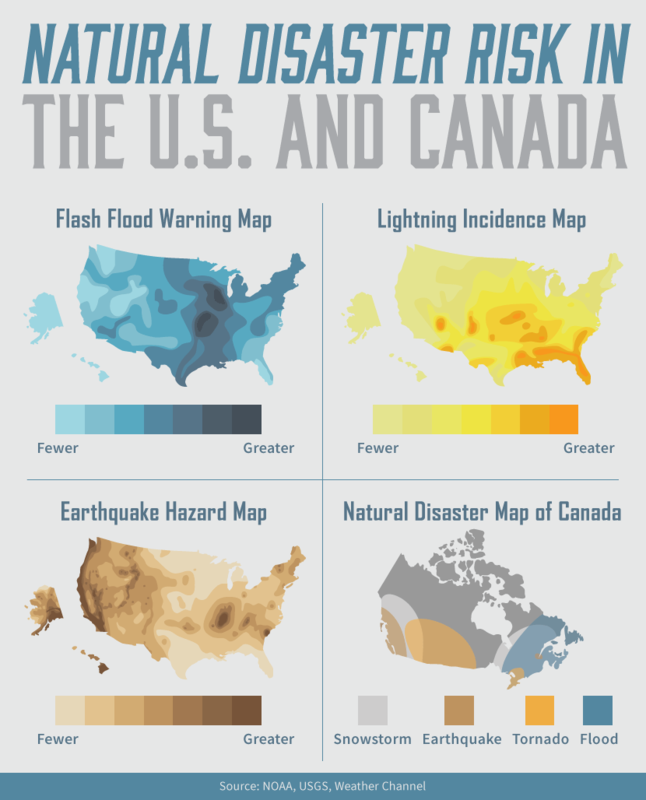 Thanks to our friends at fix.com, you can now learn how to avoid being caught in a natural disaster. Whether you're canyoneering in a slot canyon or rafting a river that flows through a canyon, flash floods can be a major concern. These sudden and powerful flooding events are usually caused by strong thunderstorms that drop a large amount of rain in a short time. They occur more frequently in canyons because the dry soil in the desert can't absorb the water fast enough and the resulting flow gets trapped by the high walls of rock. In narrow canyons, the water gets funneled into such thin areas that the depth and speed of the water can increase exponentially in as little as 15 minutes. The best step to prevent being caught in a flash flood is to learn about the canyon's history and to study the weather forecast. Some canyons have watersheds many miles away, which means that flash floods can occur under bluebird skies. It can take several hours or even a day before any sign of a recent rainstorm is seen in certain canyons. Learn the weather patterns of the area: thunderstorms usually develop in patterns, often forming in spring and summer afternoons. If there's a hint of a storm in the forecast, choose a different adventure. If you get caught in a canyon during a flash flood, don't try to outrun the water. Instead, try to climb to higher ground. Some canyons have escape ladders installed and alarm horns near the fee booths. On multi-day trips, choose camping sites that are above previous flood levels, which are usually indicated by dried run-out and discoloration. The increase of extreme weather events and changes in regional weather patterns have led to an increased risk of being hit by lightning. In some states, like Alaska, where lightning was once a rare occurrence, summer thunderstorms are becoming more common. The best way to prevent being caught in a lightning storm is to learn about the region you're traveling through. Many mountainous regions are renowned for early afternoon thunderstorms, especially in the spring and summer. If you're planning a hike to a mountain summit, start your peak ascent early in the morning and plan on being off the summit before noon. Storms can develop quickly and with little warning. If dark clouds begin to build while you're in an exposed area, head to lower ground. Other signs of imminent lightning strikes are hair that stands on end or sparks that connect between your fingers and rocks. If you see either of these, find a safer area immediately. If a thunderstorm does form and you're out in the backcountry, start by counting the seconds between the flash and boom. While lightning can strike before thunder is heard, the eight-second mark between sound and light is a good indicator that it's time to get in lightning position. Lightning position only decreases the odds of being struck by points of a percent, but something is better than nothing. Choose an insulator to stand or sit on. A backpack, a sleeping pad, or even sneakers, can provide enough insulation to prevent lightning form traveling through the ground and into your body. The preferred lightning position was once crouching, but it's a difficult position for most people to maintain for any length of time. Now, lightning experts are recommending simply sitting or standing on an insulated surface. If you're with other people, space everyone out to prevent a current from traveling through the entire group. Stay calm and ensure you can communicate with everyone in your group. If you already have a tent set up, go inside to prevent rain-induced hypothermia. Most injuries and deaths related to earthquakes are caused by falling objects, like buildings and electrical lines. However, natural areas can have their own risks. Large earthquakes can cause avalanches and giant landslides in mountainous areas, while in coastal regions there's a risk of a quake triggering a tsunami. The exact time and location of an earthquake is very difficult to predict, but certain regions are more prone to quakes than others. When traveling to a new place, find out if the region has a history of earthquakes. If you're traveling near the coast, keep an eye out for tsunami warning signs (common in New Zealand), which indicate when there's increased risk of a tsunami, and tsunami escape routes (common in the U.S.), which guide drivers and pedestrians to higher ground. If an earthquake strikes while you're traveling in the backcountry, find an open space and stay away from rocks and trees that could fall during the quake. Landslides and avalanches are difficult to evade, but if the earth starts moving, run left or right, rather than downhill. There's a chance lateral movement will take you out of the fall zone. If you're in a remote area by the coast and experience a large earthquake, head for higher elevations and keep an eye on the sea; tsunamis are usually preceded by a sudden and drastic decrease in the water level. As more and more people head into the backcountry during the winter, the availability of resources and courses on avalanche prevention has greatly increased. The best way to prevent being in an avalanche is to take an avalanche course. These courses provide a baseline understanding of how avalanches occur, what conditions increase the likelihood of a slide, and how to check the snowpack for weak layers. In most Western states, accurate avalanche forecasts are maintained by state agencies and are easy to access online or through various apps. 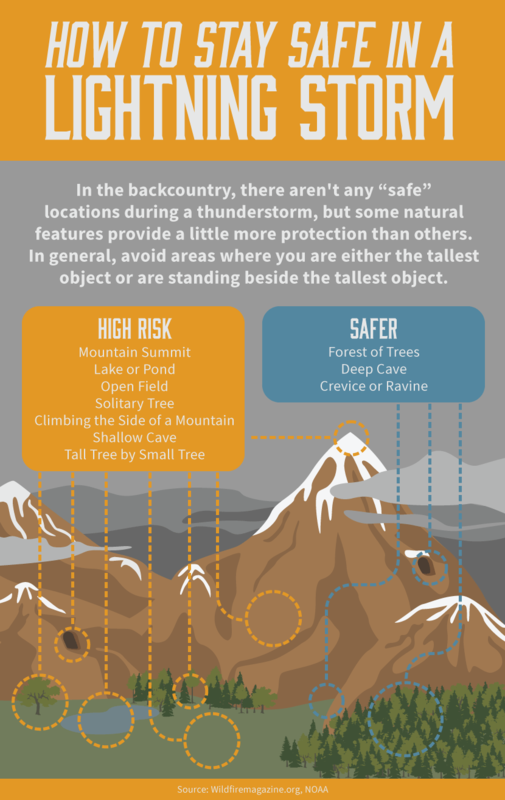 In addition to getting the right education about avalanche safety, it's important to invest in the right safety gear, such as avalanche beacons, and be diligent about wearing them. Beacons allow searchers to locate buried individuals much faster than with dogs or probes. A faster rescue means an increased chance of being found alive! If you're caught in an avalanche, try to stay on top of the slide by swimming through the snow. The goal is to avoid hitting debris that's traveling with the avalanche and to avoid hitting trees and rocks that are uncovered by the slide. Fight to stay on top! Swinging your arms and kicking your legs can help bring your body to the surface of the snow. If you're buried by an avalanche, create an air pocket in front of your face. This can be done by spitting and if your arms are near your face, by digging. Breathe slowly. Avalanche fatalities are most commonly caused by trauma during the initial slide, but the secondary cause of death is suffocation. Slow breathing will help calm your body and will make your oxygen reserve last as long as possible. Fear of natural disasters shouldn’t keep you from doing what you love: enjoying the outdoors. But educating yourself on these potential dangers, and how to prepare yourself should they happen, should be a priority before embarking on an adventure.